Your power needs are both changing and expanding, so it’s time to liberate the humble power strip from the dusty corner behind your desk. This aluminium power strip from Satechi ($40) keeps design in mind and will match any of your Apple products, with its curved edges and aluminium shell. 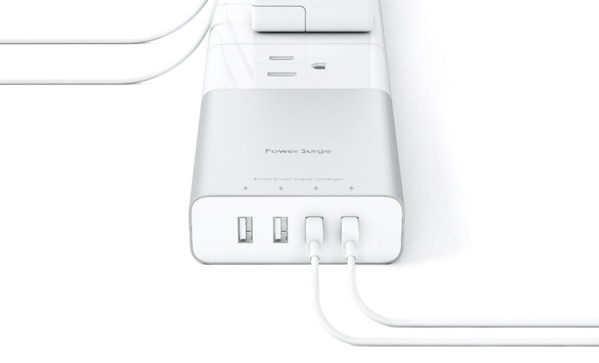 More to the point, it comes with four USB charging ports, because USB charging is equally important to AC charging for your average device addict.